Margaret E. O’Kane is founder and president of the National Committee for Quality Assurance (NCQA). She is a member of the National Academy of Medicine, and has received the Picker Institute Individual Award for Excellence in the Advancement of Patient-Centered Care, as well as the Gail L. Warden Leadership Excellence Award from the National Center for Healthcare Leadership. Modern Healthcare magazine has named O’Kane one of the “100 Most Influential People in Healthcare” 12 times, and one of the “Top 25 Women in Healthcare” 3 times. She is a board member of the Milbank Memorial Fund and is Chairman of the Board of Healthwise, a nonprofit organization that helps people make better health decisions. O’Kane holds a master’s degree in health administration and planning from Johns Hopkins University, where she received the Distinguished Alumnus Award. Board Member, Foundation for Informed Medical Decision Making, Inc.
Tom Fluegel became NCQA’s chief operating officer in December 2012. He is responsible for all aspects of business planning and operations in support of the organization’s strategic plan. Fluegel has more than 25 years of leadership experience in the health care industry. Prior to NCQA, he was COO of Dental Insurance at Coventry Health Care. From 1999–2008, he held diverse leadership positions within divisions of UnitedHealth Group, including two vice president posts, chief information officer and senior vice president for Client Operations. Previously, he directed group administration and sales activities at CIGNA, as well as acquisitions, integration and operations at the California-based SafeGuard Health Enterprises. Fluegel holds a BS in business administration from Washington University in St. Louis, and an MBA from the University of Miami. Michael S. Barr, MD, MBA, MACP is a board-certified internist and executive vice president for the Quality Measurement & Research Group at NCQA. His portfolio at NCQA includes performance measurement development; research; managing NCQA’s contracts and grants portfolio; and contributing to strategic initiatives, public policy and educational programs. Prior to joining NCQA in 2014, Barr was senior vice president, Division of Medical Practice for the American College of Physicians, where he was responsible for promoting patient-centered care through development of programs, services and quality improvement initiatives for internists and other health care professionals. From 1999–2005, Barr was chief medical officer for Baltimore Medical System, Inc., a Joint Commission accredited Federally-Qualified Health Center. He practiced internal medicine full time in the Division of General Internal Medicine at Vanderbilt University from 1993–1998 and held various administrative positions, including physician director, Medical Management Programs, for the Vanderbilt Medical Group. From 1989–1993, Barr was an active duty physician in the United States Air Force at Moody Air Force Base, Georgia. Barr has a BS in forest biology from the State University of New York, College of Environmental Science and Forestry. He attended New York University School of Medicine through the U.S. Air Force Health Professions Scholarship Program, completed his residency in internal medicine at Rush-Presbyterian-St. Luke’s Medical Center in Chicago and earned an MBA from the Vanderbilt Owen Graduate School of Management. Barr was a commissioner on the Maryland Health Care Commission (2013–2015), previously served on the Health Information Technology Policy Committee Meaningful Use Workgroup (2010–2012) and is currently on the Board of Trustees of The Horizon Foundation of Howard County. Patricia Barrett joined NCQA in 2008 as vice president for Product Design & Support. She is responsible for exploring new product concepts and evolving existing products to meet the needs of a changing health care environment. She also ensures proper development, communication and interpretation of NCQA Accreditation standards, HEDIS measures and Clinician Recognition programs. Prior to joining NCQA, Barrett was lead consultant on managed care for General Motors. As HAP associate vice president and the program director for the HAP/GM Managed Care Consulting Team, she was responsible for evaluating the quality and efficiency of GM’s managed care offerings nationally and for establishing supplier development activities with all of GM’s HMOs. In this role, she participated on the NCQA Purchaser Advisory Council, the National Business Coalition on Health eValue8 Steering Committee and served as an author and scorer for the eValue8 RFI. Barrett worked for 14 years at the Health Alliance Plan (HAP) in Detroit, where she served in a variety of roles, including manager of Research, Analysis and Program Development; acting director of Managed Care Information; and director of Quality Management. As QM director, she was responsible for all clinical quality improvement and disease management programs, as well as HEDIS production and NCQA Accreditation for the organization as a whole. Barrett was also a member of the NCQA HEDIS Policy Panel and chairperson for the Measurement Committee of the Michigan Quality Improvement Consortium (MQIC). Barrett received a bachelor’s degree in sociology from the University of Michigan and a master’s degree in health services administration from the School of Public Health. Dr. Mary Barton, MD oversees the development, use and maintenance of techniques NCQA uses to evaluate health care quality. She ensures the scientific integrity of NCQA measurement and research. She also leads NCQA in winning and executing health care quality measurement contracts for federal and state governments. Prior to NCQA, Barton worked for the Agency for Healthcare Research and Quality (AHRQ), where she was the scientific director of the U.S. Preventive Services Task Force (USPSTF). She supported and provided oversight for the methodological, evidence review and recommendation-making work of the USPSTF. Before joining AHRQ, Barton was an assistant professor at Harvard Medical School, where she performed clinical epidemiology and health services research related to cancer screening and prevention in terms of access, test performance and outcomes. Barton trained in primary care internal medicine at Brigham and Women’s Hospital in Boston and completed a general medicine research fellowship at Harvard. She has a clinical interest in and has presented widely about the performance of the clinical breast examination. She is a member of the American College of Physicians and the Society of General Internal Medicine. Sharon King Donohue is general counsel and chief privacy officer for NCQA. In that capacity, she is responsible for the general oversight and coordination of all legal matters for the organization. She plays an active role in the development of policy related to NCQA’s quality assessment programs. Prior to joining NCQA in 1996, King Donohue spent more 10 years in private practice and was most recently affiliated with the firm of Climaco, Climaco, Seminatore Lefkowitz & Garofoli Co., LPA., in Cleveland, Ohio. During her tenure at Climaco, she specialized in the development of integrated delivery systems, mergers and acquisitions and other transactional and regulatory matters for health insurers, managed care organizations, hospitals and physician organizations. Ms. King Donohue received her JD from Case Western Reserve University School of Law in Cleveland. Stephen O. Easterday is vice president of the Quality Solutions Group (QSG) at NCQA. QSG is the contractual services arm of NCQA; it is uniquely positioned to help clients navigate the complex value-based health care environment as they develop and implement new frameworks for advancing health care quality. Easterday comes to NCQA from Intelliven, where he was chief operating officer of THRUUE, leading major consulting engagements with clients that included AARP. He previously worked for Booz Allen Hamilton (BAH) as a leader in its Health Care Strategy and Change division. While at BAH, he led a team of 60+ consultants, delivering complex strategy, design, stakeholder engagement and change management services for federal health care clients, including the U.S. Department of Health and Human Services, the Centers for Medicare & Medicaid Services and the U.S. Veterans Administration. His leadership experience also includes a role as strategy and business development executive, in which he successfully grew multiple technology and data-centric solutions companies. He began his career at Ernst & Young, providing health care performance improvement services to hospitals and delivery systems across the country. Frank Micciche is NCQA’s vice president of Public Policy and Communications. In this position, he directs NCQA’s relations with Congress, federal agencies and the states, as well as NCQA’s work with the media and other external audiences. Micciche was former vice president for Partnerships and Coalitions at Campaign to Fix the Debt, a nonpartisan organization of prominent public and private sector leaders and more than 350,000 grassroots supporters across the country. Prior to this position, Micciche was a senior advisor on health reform at McKenna, Long & Aldridge, LLP, where he provided policy analysis and strategic guidance to a variety of health care clients. Micciche’s service in the public sector includes his time as legislative director in the Massachusetts House of Representatives and four years as the director of state-federal relations for Governor Mitt Romney (R-MA), where he ran the Commonwealth’s Washington, DC, office and advised the governor on federal policy issues, with a focus on health care reform. Micciche holds a master’s degree in public policy from the John F. Kennedy School of Government at Harvard University, and a bachelor’s degree in political science from Tufts University. As NCQA’s Chief Information Officer, Rick Moore is responsible for the vision and strategic direction of the Information Services, Information Technology and Information Products. He also works closely with NCQA’s stakeholder partners and represents NCQA on leading several national health information technology initiatives and panels including the Office of National Coordinator Standards and Interoperability Workgroup, and the Health Information Management and Systems Society (HIMSS) Quality and Patient Safety Committee. Prior to joining NCQA in 2008, he was the Director of Health Informatics at the National Association of Children’s Hospitals where he led the development of information services and products for over 200 member hospitals. He has also served the Office of the Secretary of Health Affairs at the Department of Defense where he led the development of Electronic Health Record (EHR) systems and was awarded the Information Technology Officer of the Year of the Joint Medical Information Systems Office in 2004. From 2001 to 2003, he was competitively selected by the U.S. Air Force Medical Service to attend the University of Alabama at Birmingham where he studied Health Informatics. In 2002, he was selected as a recipient of the HIMSS Foundation Richard P. Covert National Scholarship Award. Previously, he has served as the Director of Medical Readiness at Langley Hospital and was recognized as the Medical Readiness Officer of the Year for the command. He has also served as the Director of Managed Care for Moody Community Hospital and was selected in 1996 as the Air Force Medical Service’s Managed Care/Patient Administrator of the Year. He holds a Doctorate degree in Health Related Sciences from Virginia Commonwealth University, a graduate degree in Health Informatics from the University of Alabama at Birmingham, as well as a graduate degree in Management from Troy State University, and a Bachelor Degree in Industrial Technology from Southern Illinois University. He is a certified health care executive and Fellow in the American College of Healthcare Executives (FACHE), a Fellow of the Health Information Management and Systems Society (FHIMSS), a certified Professional in Health Information and Management Systems (CPHIMS), a Certified Information Security Manager (CISM), and a certified Project Management Professional (PMP). 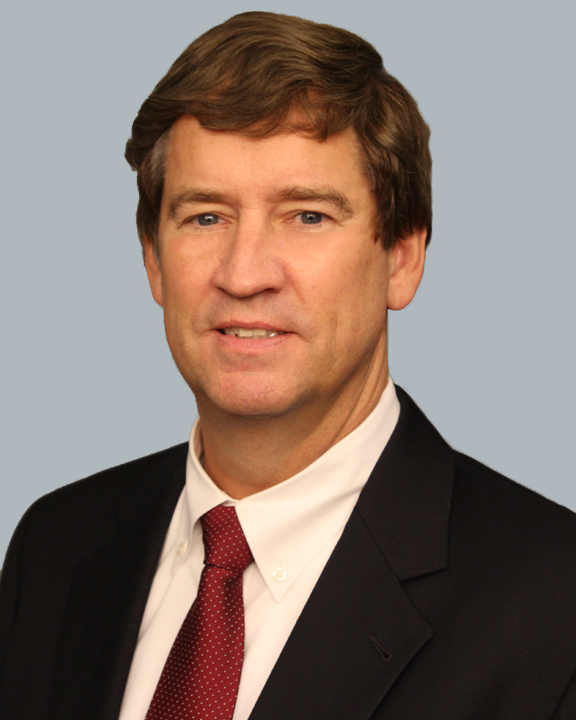 Daniel O’Connor became NCQA’s Chief Financial Officer in August 2018. He oversees the overall financial, administrative, and accounting practices. Daniel has more than 20 years of leadership experience in financial and administrative operations. He spent the last 13 years as CFO of ACA Compliance Group, a firm that provides risk management, compliance and technology services. Prior to ACA, Dan held financial leadership roles at Internosis, Global Telesystems Group and Hughes Network Systems. Dan earned an MBA from University of Baltimore, an MS in Finance from Loyola College and an MS in Information and Telecommunication Systems from Johns Hopkins University. He has also held various certifications, including Certified Public Accountant , Certified Managerial Accountant, Certified Internal Auditor, and Certified Information Systems Auditor. Sarah Hudson Scholle (Dr.P.H. The Johns Hopkins University) is Vice President, Research and Analysis, at the National Committee for Quality Assurance. Dr. Scholle is an expert in health services and quality measurement in multiple settings and has a demonstrated record of moving innovative measurement concepts into implementation, particularly through NCQA’s Healthcare Effectiveness Data and Information Set (HEDIS). Current measurement projects focus on cross-cutting areas where new health information technology is critical, including behavioral health care, patient reported outcomes, care coordination, and goal setting and improvement. Her experience also includes projects to test and assess the process of transformation to different models of care, including an initiative to test a patient-centered approach to oncology care. She leads NCQA efforts work to expand measures for vulnerable populations; this includes leading health equity innovation efforts for the CMS Office on Minority Health. She led an AHRQ/CMS funded Center of Excellence in Pediatric Quality Measurement, where the priorities focused on developing and testing outcome measures for adolescent depression using data from electronic health records, and currently leads a subsequent project to implement and demonstrate improvement on these measures. A number of measures developed in these projects have been included in HEDIS health plan reporting. She has also led activities in measurement related to patient-centered care and the patient-centered medical home (PCMH) and contributed to the development and implementation of surveys (such as the PCMH version of the CAHPS survey). Lisa Slattery joined NCQA in 2016. She oversees operations, customer support and program integrity. She is responsible for the growth and delivery of all NCQA evaluation programs, including Health Plan Accreditation and PCMH Recognition. With more than 25 years of leadership experience in health care quality in hospitals, health plans and integrated delivery systems, Slattery has led initiatives in value-based purchasing, population health, physician home visiting, readmission prevention, complex case management, utilization management, credentialing, software design and implementation and data analytics. Before joining NCQA, she worked for Blue Cross Blue Shield of Tennessee as Vice President, Enterprise Quality, and directed corporate clinical quality strategy across the commercial, Medicaid and Medicare lines of business. Slattery began her career as a physical therapist, and held several executive positions at Health First, Inc. She is a graduate of the University of Florida and North Carolina State University.